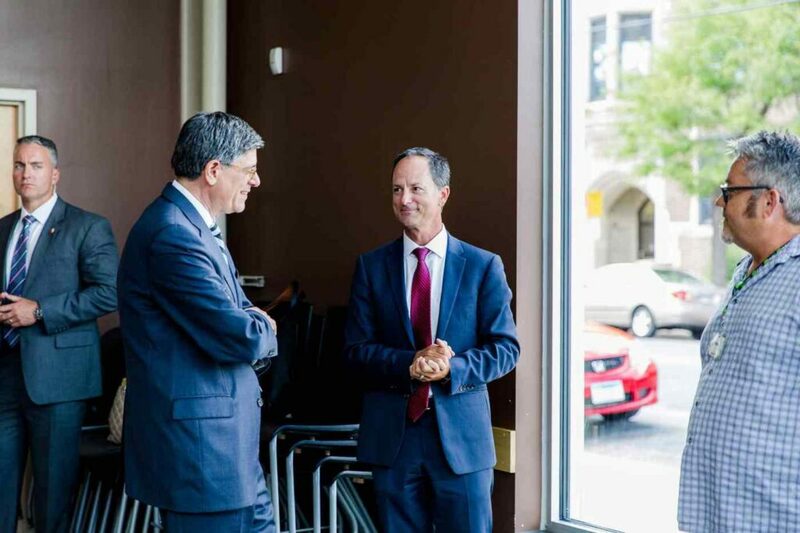 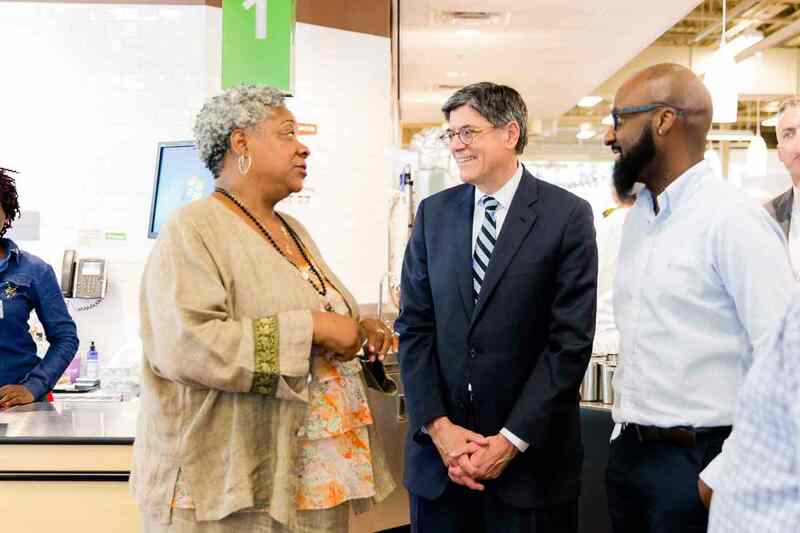 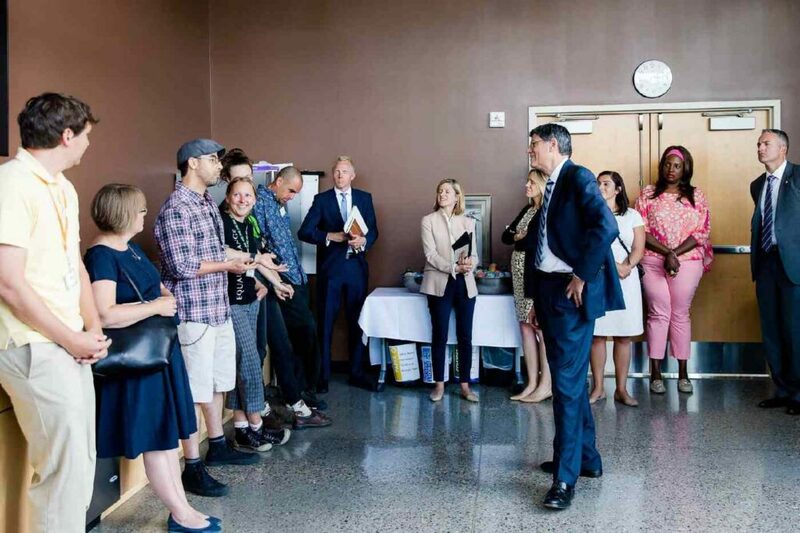 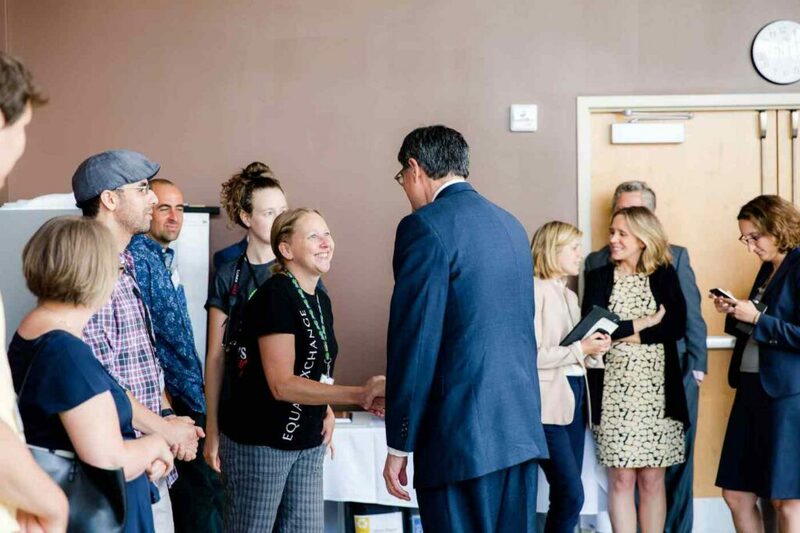 U.S. Department of the Treasury Secretary Jack Lew traveled to Minneapolis on Monday to meet with community and business leaders to highlight initiatives aimed at supporting financial inclusion. 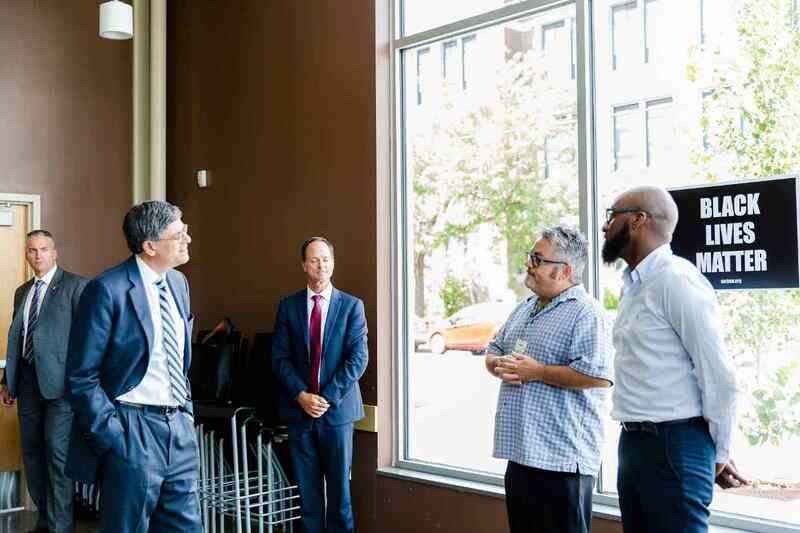 On his tour, he visited Seward Community Cooperative Friendship Store, a fresh foods project financed in part by the New Markets Tax Credit (NMTC) and by a loan from MMCDC with federal Community Economic Development funds, a program that targets job creation for low income individuals. 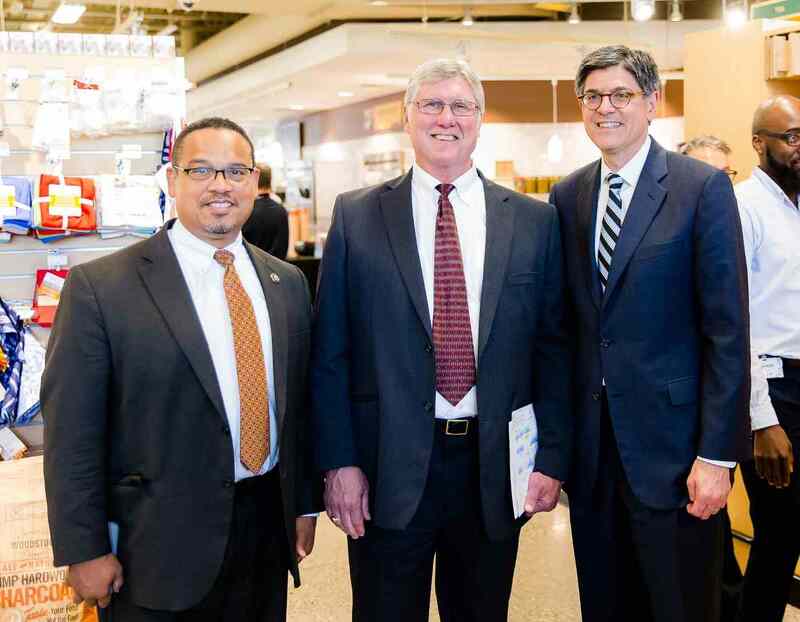 Also in attendance yesterday afternoon was Congressman Keith Ellison (D-MN), who is a longtime supporter of the credit and a cosponsor of bipartisan legislation to make the NMTC a permanent financial tool for economically distressed rural and urban communities. 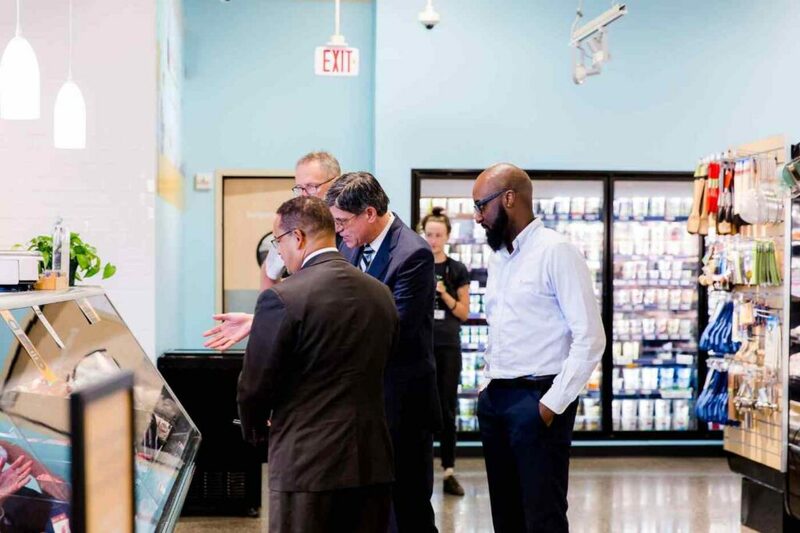 Faced with capacity crowds at its existing store, Seward turned to its longtime partners, MMCDC, for NMTC financing to expand to two new sites. 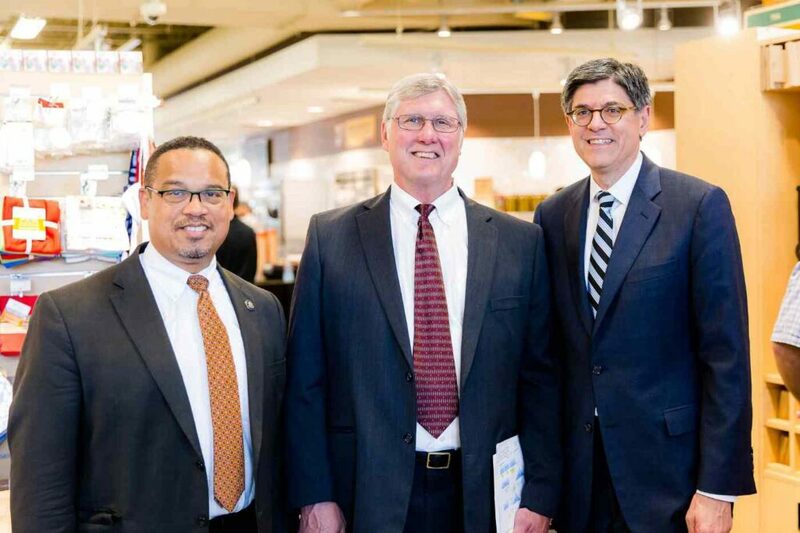 MMCDC provided $8.48 million in affordable flexible capital. 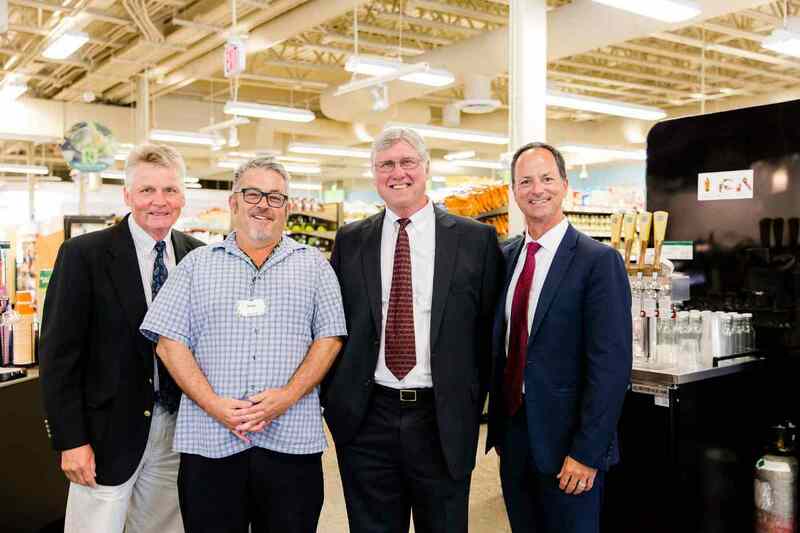 The Seward Co-Op, with a project cost of $15 million, was completed in 2015. 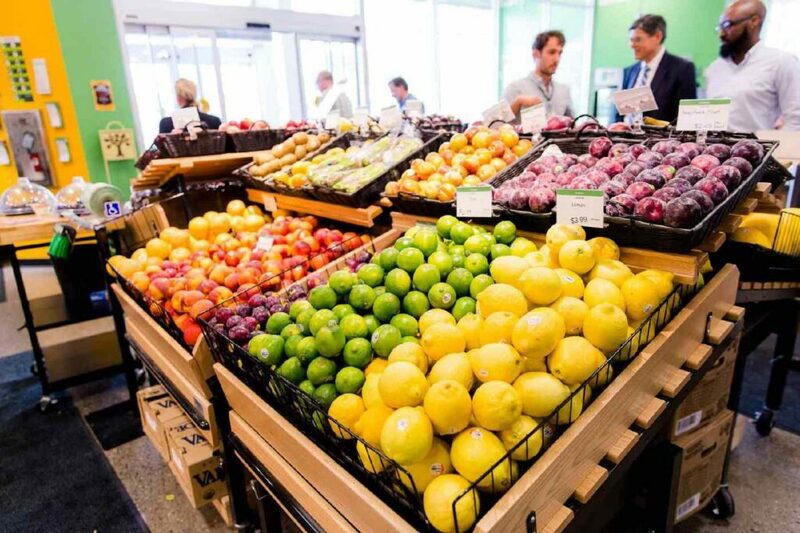 The project included the financing of a new food production facility, along with a new grocery store in a Minneapolis neighborhood where fresh food options were scarce. 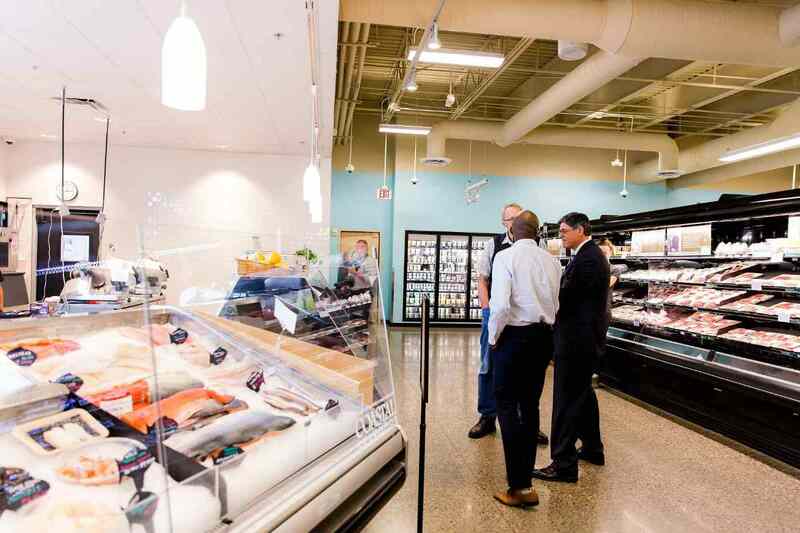 The new store was built using environmentally friendly, sustainable products and services, and a focus on healthy and sustainable products carries through to the food choices on the shelves and at the restaurant. 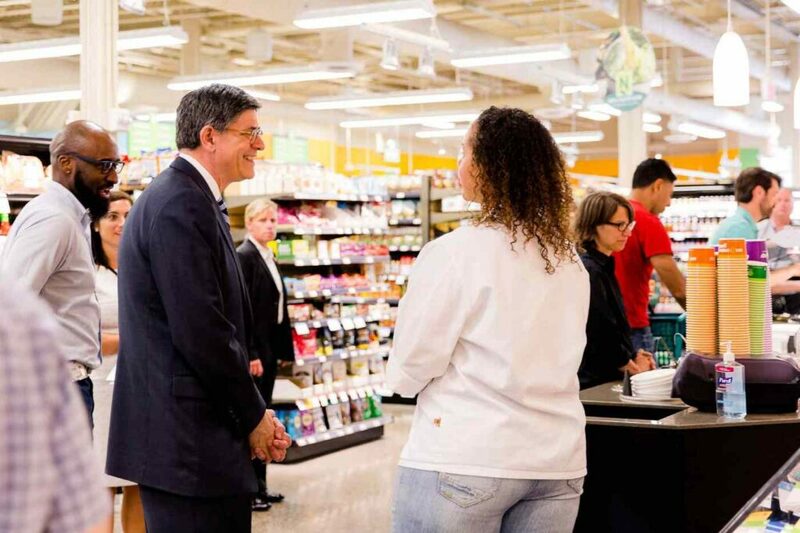 The company employs 350 people in all and the store’s wages start at $13 per hour. 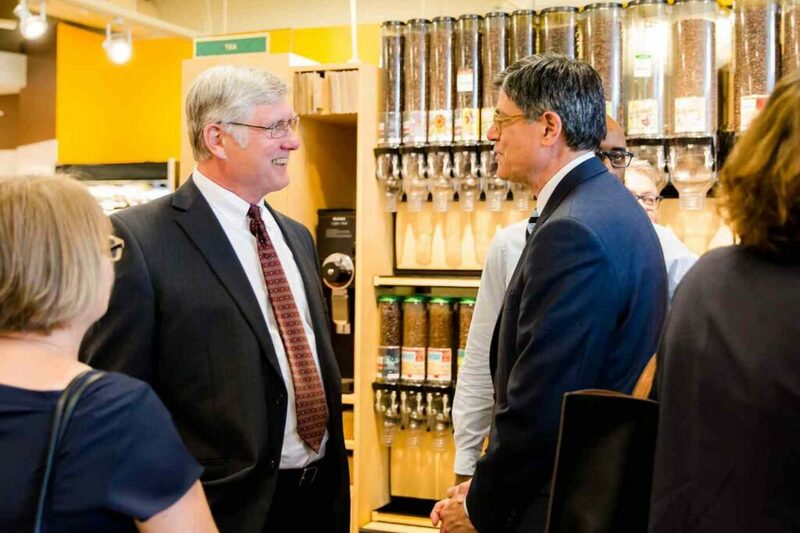 sands of jobs in areas underserved by conventional lenders. 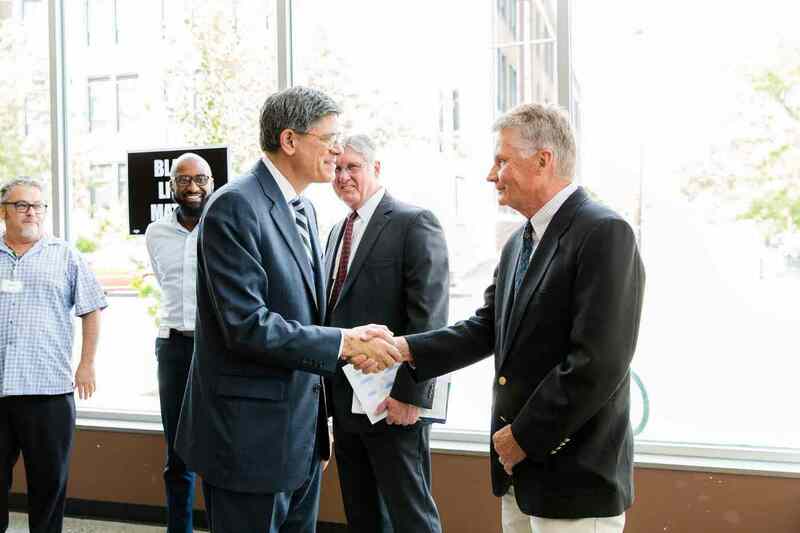 “The NMTC nearly faced extinction last year, but thanks to strong support from leaders in both parties, along with Secretary Lew and the Administration, Congress extended the program last December through 2019,” said Bob Rapoza, spokesperson for the NMTC Coalition. 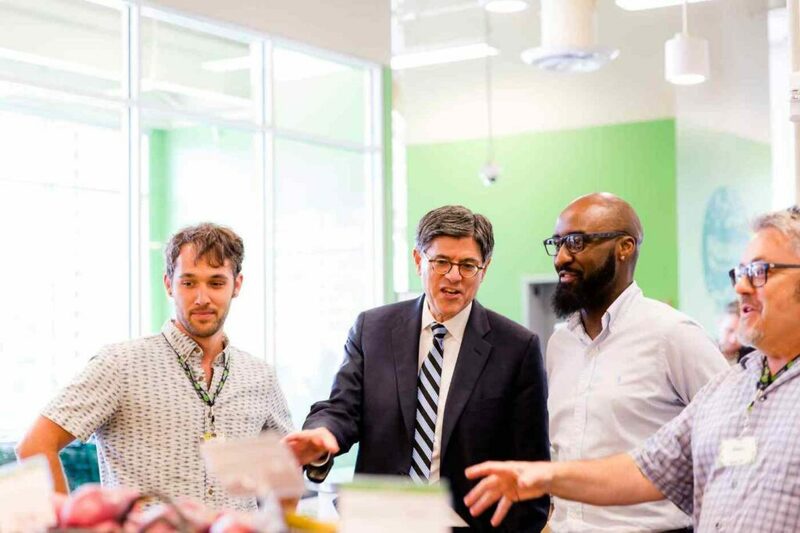 In April, Secretary Lew made the decision to combine the 2015 and 2016 rounds for the NMTC, making more credits available for businesses and communities desperately in need of capital to succeed. 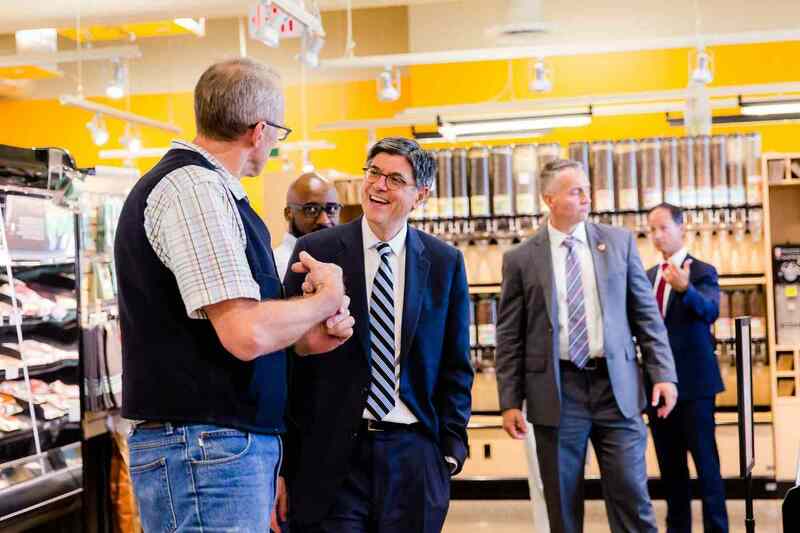 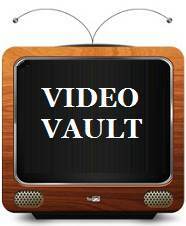 “The Treasury will award a record $7 billion in NMTC allocation. 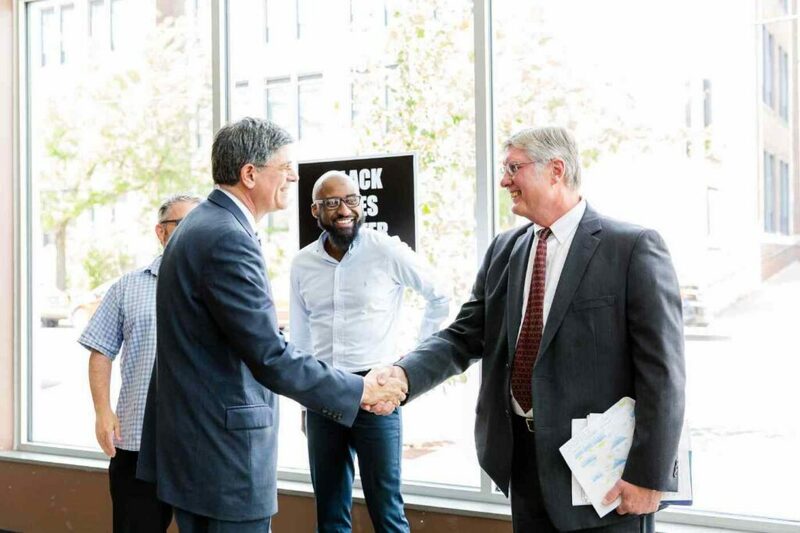 Community development organizations like MMCDC will put that capital to work, creating well over 100,000 jobs in rural and urban communities,” adds Rapoza.